This paper builds on a lecture given on the occasion of the Fremantle Submarine Convention held jointly at the Royal Australian Navy Submarine Base HMAS Stirling and the Western Australian Maritime Museum in March 1995. The conference was convened as part of Australia Remembers (1945-1995) to recognise the fact that over 170 Dutch, British and American submarines made a total of 416 war patrols out of Fremantle between March 1942 and August 1945. Of these submarines 12 were lost, some with all hands (Cairns, 1995). In acknowledging that the losses in submarine service during WWII was very high, the conference also recognised the sacrifices of submariners from all nations. The German navy lost around 70% of men and machines (28 000 men and 632 boats) for example (Botting, 1979: 166). The unpublished lecture, entitled 'The archaeological importance of the submarine' stressed that the submarine can be a repository for technical and social material relevant to the development of the 'boat', to the pursuit of warfare and to the lives of the crew. The question as to whether the submariners generally constituted a 'different breed' and whether that difference would be manifest in the material remains was also posed. This particular notion flowed on from Rudyard Kipling's statement that the submarine, like the destroyer of old, 'created its own type' of officers and crew and spawned a language and traditions that have kept it 'apart from the rest of the service' (Kipling, 1915: 23). The numerous instances of an ability to cope and efficiently function in an inhospitable and severely cramped environment gives rise to the question for archaeologists and anthropologists of the future: Were submariners in general an élite group and is this reflected in the material remains? Being mainly submariners, fiercely proud of the traditions of their service and their ability to cope in such a difficult environment, the delegates to the conference generally felt that it was so. Some of the recommendations in the paper were as a result of the Western Australian Maritime Museum's interest and involvement in iron, steel and steamship wrecks (see McCarthy, 1996; MacLeod, 1989) and its earlier involvement with submarine sites such as the Dutch submarine KVIII (1922-1943) (McCarthy, 1983: 339-42) and the wreck of the Japanese submarine IJN I 124 (1926-1942) (McCarthy, 1990,1991). The possibility that the submarine will become the longest-lasting of all metallic wrecks was examined as a result of these understandings, as were the ethical questions involved in the excavation or raising of any submarine, especially where it constitutes an inviolable grave or tomb in the strictest sense of the word. This particular paper is designed to pick up the threads of the 1995 lecture in the face of the fact that an intact submarine, of all shipwrecks, is not only the easiest to raise, but also one that is most prone to salvage attempts with short-term results and/or financial gain in mind. Two examples will be used to illustrate this fact, the Japanese I 124 which was sunk with all hands off Darwin in the Northern Territory during World War II and the German U 534 (1942-1945) which was recently raised from Danish waters. This analysis is perhaps even the more pertinent given Mr Selçuk Kolay's (Rahmi M. Koç Industrial Museum, Istanbul, Turkey) recently-announced plans to locate and possibly raise the Australian submarine AE 2 (1913-1915) which was lost in Turkish waters during World War I (White, 1992: 42-78). In conducting this analysis it is intended to raise a range of ethical, legal and other issues and to examine the need to treat submarine remains according to best archaeological and conservation practice. Many, if not most, sunken submarines contain human remains and in many cases these lie enclosed within defined compartments. Though sports divers and film makers have shown little concern for such niceties in the past (Keatts & Farr, 1990: 82-92, 136-152), it is accepted amongst the archaeological community that entry into tombs or the disturbing of human remains is contraindicated where there are living relatives or where there are tangible links with the dead. In any case, it is generally recognised that 'informed consent' for any proposed disturbance must be obtained from the (often numerous) stakeholders where human remains are involved (Department of Communication and the Arts [DCA], 1997). As a result, in the modern day, a sunken submarine containing human remains is generally entered only for strategic, economic or technological reasons and this generally occurs soon after it is lost (e.g. where a submarine may be able to be refloated, refitted and returned to service). Where the vessel is totally abandoned and where subsequent diver incursions have resulted in the location of human remains, responsible governments have tended to react fairly quickly and to prohibit further incursion by either the closing of access hatches, for example, the German submarines U 853 (1943-1945) and U 532 (1940-1942), or by the declaration of a restricted zone around the site, such as the I 124. The I 124, which was sunk at the start of WWII in Australian waters, presents an interesting case in that, in contrast to most other cultures, which recognise the sunken warship as a suitable grave in itself, Japanese religious custom seeks the return of part or all of the remains for burial in the Home Islands, where possible (Lewis, 1997:80). Thus, a Northern Territory Government initiative in the late 1980s designed to examine the feasibility of raising the wreck for exhibition in Darwin was not necessarily in conflict with Japanese religious and cultural belief as some believed at the time. Of interest is the fact that though relatives of the I 124's commander supported the initiative, the Japanese Government did not (Lewis, 1997:80). This instance provides an important and significant division of opinion between the interests of the representatives of the individuals who served in a vessel and the interests of country which owns the vessel and/or for whom the crew served. This dichotomy of interest needs to be both understood and considered, especially where warships are concerned. Notwithstanding the form of spiritually-based exception noted above, it is generally accepted amongst archaeologists and governments that sunken submarines containing human remains are inviolable tombs, especially where there are living relatives. The Australian Government shares the view of the Japanese Government that the submarine and the remains of its crew should be regarded as a war grave, and that it should be left in peace. The Australian Government also agrees with the view of the Japanese Government that the submarine remains the property of the Japanese state, and that no other parties have any right to it (Second reading, 1976 Historic Shipwrecks Act, Hansard). The initial protection of I 124 by Australia under the terms of the Commonwealth Historic Shipwrecks Act 1976 also appears linked to concerns about the possibility of Japanese and other salvage operations on allied WWII vessels sunk in nearby waters. Though cognisant of the fact that the presence of human remains at submarine sites provides an overlying contra-indication to entry and/or excavation where living relatives demur, a sunken and undisturbed submarine has the potential to provide a unique medium with which to preserve machinery, information and artefacts for examination now and (much more importantly) for the long-term future. In being enclosed within a thick, immensely strong and hydro-dynamically efficient unit, the material will be safely preserved for many years, possibly even centuries. Its role as an enclosed capsule capable of preserving material within unbroken confines, is one of the most important features of the submarine as a potential archaeological site. The late Keith Muckelroy, one of the doyens of maritime archaeology, saw the study of iron and steamship wrecks (and by inference submarines) as an unnecessary duplication of information appearing in archives and museums, however (Muckelroy, 1980: 10). Anthropologists on the other hand have argued strongly against this position and have opted for a cross-temporal approach; one that is not encapsulated in a specific period of the past (cf., Gould, 1983). Professor George Bass, a leading maritime archaeologist, specialising in the shipwrecks of the 'Classical period' also noted the value of archaeological research on ships recent enough for photographic records to be available' (Bass, 1972:10). In examining these two divergent stances, it has become evident that the wreck of an early submarine is clearly capable of adding to existing knowledge. Examples are the CSS Hunley (1861-1865), lost off Charleston Harbour, South Carolina and the tiny Resurgam (1879-1880) lost while under tow off the North Wales coast. It is also evident that the contents of an operational submarine, as opposed to a stripped and deliberately scuttled vessel, are not only the accoutrements of submerged warfare, but a range of materials of anthropological significance, for example, clothing, personal items and literature that will reflect the forced adaptation to life in an enclosed, restricted and hostile environment. In this context, a properly-constituted archaeological focus on, not just the technology, but also the people and the associated artefactual assemblage within the hull, allows us to view the archaeology of the submarine as a 'new' area of study within a theoretical framework for maritime archaeology as a whole. In building upon Muckelroy's (1978: 1-10) seminal analysis, maritime archaeology could then be re-defined as the scientific study of the material remains of humans and their activities in, on and under the sea. The study of the submarine is also a form of historical and industrial archaeology. Here the archaeological evidence (in this case the submarine and its contents) is analysed along with written material, i.e. the archives, oral histories, plans, books, diaries (e.g. Young, 1945), as both complementary and potentially conflicting databases. Shipwrecks generally are subject to a number of processes serving to alter the original vessel from an operational unit into an archaeological site. On a physical level these are natural and cultural site-formation processes. Before examining these it is perhaps pertinent to note that on a philosophical level there are essential concomitant changes in public, academic and official perceptions or attitudes to the remains. An interesting example is the case of I 124 and the gradual change in public and official perceptions of it over time, first as a casualty of war of strategic importance; then as a post-war salvage prospect; and, lastly, as a war grave and an historic site (see case-history following). The submarine differs greatly from the traditional iron or steel hull by virtue of firstly, the essentially cylindrical construction of the hull, and its inordinate strength and thickness compared with the hull of a surface craft. When lying wrecked on a shallow sea-bed, the traditional watercraft tends to flex in the swells and in time the wooden (or light steel) decking lifts, exposing the deck beams. These then collapse or break, leaving the sides unsupported. This results in an outward, inward or downward collapse of the hull, often spilling material outside or under the remaining hull (see examples in McCarthy, 1996:199-234). In contrast, unless broached by explosive force or other severe stresses, as in the case of submarines lost in very deep water such as the USS Thresher (1960-1963) (Ballard & McConnell 1995: 4-15), even the earliest of metallic submarines can remain as a capsule. Unless open to the seas, water movement within flooded compartments becomes minimal, in similar fashion to the recesses deep wit in the remains of large surface vessels. The difference is that the submarine will normally not collapse as quickly as a surface vessel for the reasons stated. On the other hand, it is evident that where the compartments in a submarine are open, the swell effect can be magnified within its confines, with consequences for artefactual material and divers who can be thrown bodily around even in (comparatively) deep water. Examples of this phenomenon have been reported at the hulks of Australia's post WWI 'J' boats in waters of around 30 m off Port Phillip Bay in Victoria (Osborn, 1986). Scuttled in the 1920s, four deep-water 'J' boats and two others lying in shallow waters within Port Phillip Bay itself, provide a useful example of the processes of corrosion on submarine wrecks. Plans are afoot to commence a comparative study at these six sites in the near future. Historical and technical details appear in White (1991: 95-121) and Smith (1990). Vessels like the British submarine Holland I (1901-1913) which was recovered in 1981 after being lost under tow off Plymouth en route the breaker's yard, and AE 2 can appear as a single hull, or they can have both an outer and inner (pressure) hull, as in the case of IJN I 124. In the latter case, the outer hull is open to the sea on both surfaces when the vessel is submerged. As a result, it does not need to resist high water pressures and therefore does not need to c as thick as the watertight internal or pressure hull. 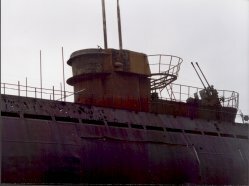 Because it is of thinner metal and is open to the sea, corrosion and collapse of a submarine's outer hull is expected to mirror that of traditional iron or steel surface craft (dependent on the usual variables such as, depth, shape, time, salinity, oxygen content, burial in sediments and water movement). The inner hull on the other hand is much thicker and normally it has a water flow only across its outer surface. Even then the rate of that flow is impeded by the presence of the outer hull, which can remain hydrodynamically-efficient for many decades. With less turbulent water flow, corrosion on the exposed surfaces is normally reduced in comparison with metal surfaces exposed to the full force of the prevailing current. It has become customary to use an average predicted rate of 0. 1 mm of corrosion per year on iron or steel surfaces exposed to the open ocean (LaQue, 1975: 383-9; Southwell, et al., 1976). Further studies on the subject are currently progressing. Though subject to many variables, this average has since proved a useful 'starting point' in iron and steel shipwreck studies (McCarthy, 1996: 1778). Thus, over the 50 years since WWII, corrosion on a submarine's outer hull can he expected to be in the order of a total of 10 min (or nearly half an inch) when corrosion on both surfaces are taken into account. Clearly the level of corrosion should be more with the J boats mentioned above and with earlier WWI wrecks like AE 2, which was lost in 1915. As indicated there are many variable to be considered, such as the presence of impurities, carbon content, iron/steel-working methods, water movement, oxygen levels, the presence of dissimilar metals, depth of burial in sediments, the presence of sulphate-reducing bacteria, and the like. Consequently, the corrosion found on submarines can vary greatly, not only on individual vessels as a whole, but also on their various parts. Another factor is the presence of concretion, a rockhard matrix of corrosion products and sealife that serves to totally cover metallic objects in a warm-water, coralline environment (North, 1976). This covering can mask the extent of the corrosion and give a totally false impression of its extent, and of the strength of the metallic remains underneath. After removal of this rock-hard layer, sometimes only empty casts of the original hull remain (McCarthy, 1996: 206-232). The pressure hull was originally enclosed by a thin steel envelope, designed to streamline the U-boat. The corrosive effects of years under the sea have removed most of the outer covering. The wooden decking is gone, exposing a mass of tangled gridwork and pipes. The conning tower does not look as one might expect, because the flak shield corroded away long ago ... Only the conning tower's pressure hull and periscope stalks remain (Keatts & Farr, 1990: 140). This situation is of considerable importance for those interested in the exhibition of any WWI or WWII submarine raised from a saline, warm-water environment. Decades of corrosion will ensure that after it is deconcreted for conservation, the outer hull of a submarine will not appear as the divers see it, or as the public have come to visualise it. 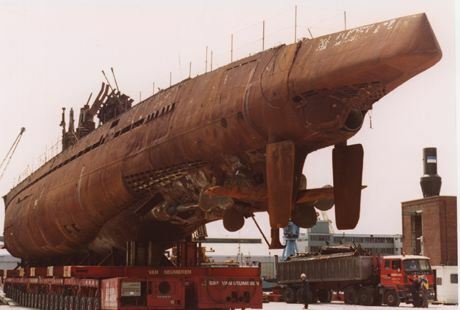 Once a sleek, clinically-clean, foreboding warship, a submarine raised from a saline, environment (as opposed to one recovered from fresh water) will most likely retain only portions of its outer hull after deconcretion and will appear (even after treatment) as a barely-recognisable, almost industrial container festooned with protuberances, piping and tubes at all angles. As a result, the raising of any historic submarine must be undertaken with the full understanding of this fact, and that its conservation requires a long-term commitment of both time and funds. The British submarine Holland I (1901-1913) which was recovered in 1981 and then placed on exhibition at the Royal Navy Submarine Museum in Gosport, is an important example. Its 7/16 in (11 min) thick rivetted steel hull is still undergoing treatment after sixteen years (Dean, M., 1997, pers. comm., September). Even relatively small units like the marine engine removed from the SS Xantho (1848-1872) in 1985 are proving to be long-term conservation problems (MacLeod, in prep). A 20th century submarine is a warship and, given that the majority of active submarines were lost in a wartime mode, it is to be expected that they contain highly explosive materials and toxic substances such as battery acids. Munitions can also be stored both internally and outside the pressure hull, between it and the outer hull. This includes shells, mines and torpedoes. I 124, for example stored munitions both within the pressure hull and between it and the outer hull (McCarthy, 1991: 4345). There are numerous examples reflecting the difficulties of managing sunken submarines lost in a wartime mode. Dangerous ordnance was located along with artefactual and skeletal remains at the wreck of the U 352 which was located off North Carolina in the late 1970s (Keatts & Farr, 1990: 82-92). Faced with a danger to sport divers who were entering the hull, the United States Navy (USN) excavated the torpedo rooms and, after drilling the torpedo doors, they probed for torpedoes. Navy divers then defused much of the ordnance in circumstances of considerable personal danger. In one instance an exploder detonated, though without causing the explosives in the torpedo to ignite, for example. This is an issue for any group involved with the management of submarines lost in battle with primed or potentially active ordnance on board. There are also distinct dangers to divers accessing the hulls, with the dangers of silting noted in the case of the scuttled Australian J boats in c. 30 m of water (Osborn, 1996). Deaths have occurred. Access can be minimised as indicated above and as was the case with IJN I 303 sunk at Truk Lagoon. In this instance steel plates were welded over hatches in order to prevent access to the inner hull where skeletal material and artefacts including musical instruments were recovered causing considerable international disquiet when shown on television. The furore resulted in the cremation of the remains according to Japanese custom and the welding of the hatches shut. As with the U 352 diver access to the outside of the submarine was still allowed. In the latter case, however, sports divers soon removed some of the covers and continued to access the interior (Keatts & Farr, 1990:91). Diver attitudes have changed and, as indicated, access to the interior of any war grave is not normally allowed. It is interesting to consider whether a suitably sealed submarine cannot become a monument to the dead while still serving as an underwater 'display case'. There is clearly a place for such activities in an ecotourism milieu, especially where a site is adequately sealed and the required interpretive and supervisory infrastructure exists. An example is the U 1105 which was scuttled, after extensive testing of its sonar absorbing rubber skin, in Chesapeake Bay in the State of Maryland, USA, after the war. Though it is not a grave, an agreement exists with the US Navy Historical Centre in order to operate the site as an historic shipwreck preserve. Apparently the idea has worked well. Only a few artefacts have been stolen and other divers help protect what is now considered 'their' site, since the State program is based largely on volunteer effort. (Foste, K J., 1997, National Park Service, pers. comm., Aug.). It is also evident from this and numerous other examples that diver access to sites and their use by local charter and dive operators as income-generating assets can result in their better protection (Garratt & McCarthy, 1998). This point leads into discussion on the management of submarine sites and the various options open to those charged with this task. (i) To do nothing on-site and to allow the wreck to decay naturally with a minimum of cultural interference. This is effected by relying solely on the protection of international agreements, historic shipwrecks legislation or informal understandings. (ii) To proceed as in (i) above, but to facilitate diver access for ecotourism, recreational or other reasons. In this instance, where there is potential for diver incursions into sensitive or dangerous areas, it may be advisable to protect the site and the divers themselves by sealing hatches and openings and by monitoring the wreck regularly. Intending divers and the public generally could be provided with interpretive material and the wreck could be marked with a plaque set into the sea-bed alongside with a view to the identification of the wreck and an explanation of its salient features. This could be followed by the production of interpretive materials of public, conservation and museological value in the form of books, maps and pamphlets. (iii) To conduct a full non-disturbance site inspection study aimed at physically recording the external features of the wreck and its context according to traditional archaeological standards and to then proceed as in (i) or (ii) above, but with regular monitoring. (iv) Where after due deliberation a submarine is earmarked for possible raising, to perform a full predisturbance, physical, biological and electrochemical study such that an informed comment can be made as to the extent of corrosion, concretion and animal growth on the wreck (McCarthy, 1996: 168-176). A full understanding of the nature and effect of the sediments on which or in which the wreck lies is also required. This study would include an examination of both the inner and outer hull (if present). Had the Australian submarine AE 2 been found on the recent search, this stage ideally would have preceeded any attempt to lift the vessel, for example. (v) If the results of (iv) above indicate that the conservation of a particular vessel is considered possible, and that sufficient funds and infrastructure will be secured to ensure its future status and stability, to begin the conservation porches in situ using anodes in similar fashion to the fully-submerged SS Xantho (l 848-1872) and the part-submerged iron barque Santiago (18451950). The use of these systems on historic wrecks are discussed elsewhere (MacLeod, 1989; McCarthy, 1996: 287-92; Kentish, 1995). (vi) The recovery of the vessel be conducted in such a manner that material is not lost in the transit from the sea-bed and that the scour pit from which the vessel has been recovered is fully examined as soon as possible after the vessel has been removed. (vii) If the vessel lies in deep water, consideration be given to the notion of removing the vessel chosen for raising to a shallow 'staging port' or pre-prepared 'coffer dam' type situation. Ideally this should be close to facilities where environmental conditions will be conducive to a beginning o f the in-water conservation process. Here, conditions such as water movement, oxygen content and salinity should be conducive to the reduction of corrosion levels and should assist in the movement of salts from the hull. A management model such as this also allows for safe shallow-water access by navy ordinance clearance divers, followed by conservators and archaeologists. Recreational and tourist divers could then access the site also in a controlled fashion with a view both to their education and enjoyment, and to revenue raising. In order to illustrate the points raised in the above two case studies will be presented, IJN I 124 (1926-1942), which was sunk with all hands off Darwin in the Northern Territory during WWII and the German U 534 (1942-1945) raised recently in Danish waters. The 279.5 ft (85.2 m) long mine-laying submarine I 124 is discussed at length elsewhere (McCarthy, 1990; 1991: 1252; Lewis, 1997). The type, (which was effectively a Japanese copy of a 1920s WWI German design), proved difficult boats to handle owing to their small hydroplanes and rudders. This presented considerable danger to their crews in hostile waters. The Japanese boats also differed from their allied counterparts, especially the American boats, in that little consideration was given to creature comforts (Hashimoto, 1954:69-70). On 20 January 1942 I 124 was sunk in 50 m of water off Darwin by Australian corvettes assisted by airplanes and American vessels (Jenkins, 1992: 93-111). It appears that USN divers descended to the wreck in an attempt to enter the wreck to recover codes and documents pertaining to the Japanese war effort. As a result of research conducted in 1989 it was shown that they failed in this endeavour and that Australian divers who followed them with the intention of blasting through the hull were equally unsuccessful (McCarthy, 1991: 25-30, 81) (see following). The I 124 was left undisturbed until it was relocated in November 1972 by salvage operators. Sounding equipment used on the hull led them to believe that half of the submarine was water tight and the other half filled with water. The scrap metal value of the wreck was reckoned to be A$1.5 million and it was noted by the prospective salvors that it was possible that the ship also contained mercury which was used for ballast which would be worth $1 million. Salvage was considered to be a relatively simple task because the vessel was intact, with only a few hatches open, and because it lay upright and clear of the hard bottom on which its bilge keels lay. It was also noted by one of the salvors involved that, apart from these salvage-oriented considerations, the submarine 'might be a valuable war relic' i.e. there were thoughts that it could be used for exhibition (McCarthy, 1991). ... a fanciful justification for diving on sunken subs that has been used before by promoters seeking funds for their venture. High vapour pressure toxic materials are generally avoided aboard submarines (Paine, T.O., 1990, pers. comm. 3 Apr.). Claims about the presence of bullion, artworks, secret documents etc. are apparently a common feature of the prospectuses prepared by those seeking to form salvage companies. In the I 124 case, the extravagant claims led it to becoming a magnet for colourful salvage entrepreneurs throughout the early 1970s. Indeed it could be claimed that submarines by virtue of their mysterious and clandestine nature tend to attract this form of interest and that controversy is bound to occur as a result. Dissension occurred within the ranks of one salvage company formed to deal with the I 124 wreck and it split into two factions. Discussions were held by one faction with the Japanese Government with a view to salvage after the proper removal of bodies, while the other, apparently frustrated by the delays in negotiations, pressed ahead in a less conciliatory mood and with no concern whatever for the remains. Armed raids were undertaken by the factions in order to establish a 'salvor in possession' status and the warring salvors generally were requested to desist by the Government in the light of the fact that the vessel was a 'war grave'. The resultant controversies received considerable press coverage in 1973 and 1974. In July 1977, the wreck was declared historic and its immediate area was declared restricted under the terms of the Historic Shipwrecks Act and a 500 m radius exclusion zone was declared around the site. Though more a convenience designed to bolster the wreck's status as a 'war grave' rather than to protect it for historic or archaeological purposes, the submarine became one of the first of Australia's protected shipwreck sites. Having established that the wreck of I 124 was historic under the terms of the Commonwealth Historic Shipwrecks Act and that it was still owned by the Japanese Government, the Australian Government then became charged with its management as an historic site. This has posed a number of problems for government. In response to reports from the salvage divers that unexploded mines lay on the deck of the vessel, for example, seven investigatory dives were made by RAN divers in November 1984. Three of the dives were aborted in the strong tides, though the remaining dives indicated that munitions were not in danger of detaching from the wreck, thus constituting a hazard to shipping. Apart from a number of unauthorised attempts to dive on the site (which appear to have been unsuccessful partly due to the intervention of the Australian Federal Police) there appears to have been little activity on the wreck between 1977 and 1989. Around this time the Northern Territory Government quietly began a feasibility study on the possibility of raising the vessel for display purposes, possibly with the exhibition of the Japanese midget submarines which were raised soon after the raid on Sydney harbour in 1942 in mind (Jenkins, 1992). As indicated above, the proposal to raise the vessel was undertaken in association with the widow of the commander of I 124. She had earlier expressed the wish that her husband's body and those of the remainder of the crew be recovered and dealt with according to Japanese custom. This involves the removal of all or some of the remains to the Home Islands for burial with due ceremony (Lewis, 1997: 80). Around the same time, the submarine also began to receive Australia-wide publicity as a potential source of mercury contamination in Northern Territory waters. These concerns were initially raised by Captain David Tomlinson the owner/operator of the Darwin-based Research Vessel Flamingo Bay (The West Australian, 7.3.1989). In the mid 1980s, it was becoming apparent that (in contrast to popular belief) iron and steel shipwrecks like the SS Titanic (1912-1912) were rapidly degrading (McCarthy, 1988). Comparative studies were required, however, in order to test this assumption. As a result, the author proposed that other sites throughout Australia be examined and their corrosion status be assessed. In ignorance of the complex political and social developments above, IJN I 124 was selected, partly because it was a 'modern' steel hull and a representative of the submarine type in general. It was intended to examine the corrosion status of this and other wrecks, and the effect of variables such as water movement, oxygen content and colonising organisms in a comparative manner. Agreement was reached on the proposal and RV Flamingo Bay was made available to the Museum. Permission for a combined Northern Territory and WA Maritime Museum team to enter the I 124 restricted area and dive on the site for the purposes of conducting what was to be a non-disturbance, no-entry dive was granted by the Commonwealth Government. The WA Maritime Museum's team then left for Darwin by air. It was apparently due to the highly political nature of the various undercurrents that permission to enter the restricted zone and to conduct a non-disturbance corrosion study of the wreck of I 124 was rescinded soon after the WA Museum team arrived. The Japanese Government was concerned that Museum divers would disturb human remains on board. As a result it sought the assistance of the Australian Federal Government in preventing all diving on the site. The Northern Territory Museum then withdrew its team and the Commonwealth Police interviewed the author and attempted to have the expedition stopped. There had been too much preparation and sponsorship involved to totally abandon the project however and eventually it was agreed that though the I 124 restricted zone would not be entered by the Flamingo Bay, the team could conduct a search for another submarine believed (from WWII accounts) to lie nearby. It was also agreed that the team would not dive on any submarine believed to be I 124 even if it lay outside the restricted area. The deployment of a Remote Operating Vehicle (ROV) outside the restricted zone was allowed however. In March 1989, utilising the Global Positioning System (GPS) position fixing systems and with the benefits of the Visual Display Unitplot, the restricted zone was examined using a side-scan sonar set on a range of 500 m. Nothing was seen within the confines of the restricted zone. A submarine was located 500 m outside the zone towards the south, however, and the Flamingo Bay then conducted a side-scan sonar and ROV assessment of the wreck. Intense pressure to send divers to the site (from a filmmaker, sponsors and a national television crew) who were on board was resisted due to the agreements made not to dive the site (McCarthy, 1991: 34-40). This example is of general significance. It illustrates the often complex problems that must be expected in dealing with the property of one nation in the waters of another all exacerbated by the need to balance the often divergent requirements of archaeologists, sponsors, boat operators, media and private enterprise. The ROV record showed that the I 124 conning tower had disintegrated and that extensive marine growth and corrosion were visible on the outer hull. No inspection of the internal pressure hull was made. Subsequent research into the 'two submarine theory' showed that it was spurious. 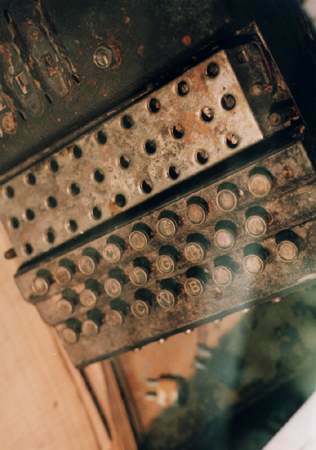 Only I 124 was lost, though American code-breakers allowed their ships and the allies to think otherwise in order not to jeopardise the fact that they were reading the Japanese codes. Mercury was not carried as cargo on I 124, nor did it appear on board in the ballasting systems. It was also concluded that the biological data collected did not indicate that the I 124 was a source of mercury contamination into the environment (McCarthy, 1991). The team's findings on these matters were reported to Government in the Senate, ending what was developing into a spiralling environmental crisis. In the ensuing report, the Northern Territory Government's interest in raising, excavating, conserving and exhibiting the wreck as a tourist drawcard (trophy of war?) and monument to submariners world-wide were also addressed (McCarthy, 1991: 51-52). The key issue for the Australian Government was the fact that the vessel was lost with all hands within a tomb in the true sense of the word. Plans to raise the wreck were shelved. and the publication of the story in a suitable format (Recommendation D). The archive was subsequently established in the Northern Territory and the story was recently published (Lewis, 1997). With respect to the other two recommendations, the Australian government indicated that the site should be allowed to decay naturally without any further human interference (I 124 File, MA-3/89, WAMM). Despite this, there will be continued interest in this particular wreck for post-war Japanese and American reports indicate that they were successful in entering this, the first accessible seagoing unit of the Japanese fleet after the Pearl Harbour attack, and in acquiring its secret codes (Agawa, n.d., 307; Carpenter & Polmar, 1986: Chapter 2). More recently, one well-known Australian historian has also recorded that, at a cryptology conference held in America in October 1992, it was stated that the Japanese Naval Water Transport Code was taken from I 124 (Winter, 1995: 129). These conclusions, however, were not supported by the historical and oral evidence gleaned for the Western Australian Maritime Museum's I 124 study (McCarthy, 1989; 1991: 25-30). This caused a reassessment and an acknowledgment from influential American sources that the earlier reports may have been in error (Paine, T. O., 1990, pers. comm., 3 Apr.). It also appears that such an exercise was unnecessary for, unbeknown to Australia, the Americans were reading the codes and cyphers carried by I 124 when it was sunk barely three months after the attack on Pearl Harbour (Winter, 1995: 128-9; Lewis, 1997: Chapters 8-10). Thus, from an historical archaeological perspective I 124 has provided a useful complementary (or in this instance conflictory) source against which to test the oral or archival record. In some strategically important instances such as IJN I 124 this is to be expected, for it is acknowledged in historical archaeology generally that 'the archaeological record and the documentary record are both imperfect representations of the same underlying reality' (Potter, 1992:10). The 77 m long U 534 was built in 1942 and sunk by aircraft in 68 m of semi-saline water off the Danish Island of Anholt, in May 1945. Rumours that it was carrying important senior Nazi and Japanese officers, treasure or other valuable items were legion, though in this case they appeared to have some substance. U 534 belonged to a special flotilla active in the last stages of the war ferrying lucrative cargoes and top officials to safe havens. One of a similar class captured in the same era, was reputed to have been carrying three generals, blueprints for the flying bomb and liquid mercury. No one died in the sinking of U 534, though three crew died alongside. The wreck was located in 1986 causing a dispute over salvage rights. A businessman, Mr Carsten Ree, claimed he was awarded salvage rights to all German wartime property off Denmark, Norway and Sweden in the 1950s. Under a salvage licence issued by the Danish Defence Ministry, the submarine was awarded to Mr Ree, but it was acknowledged that material inside the vessel belonged to the Danish State which had jurisdiction because the wreck is in Danish waters. 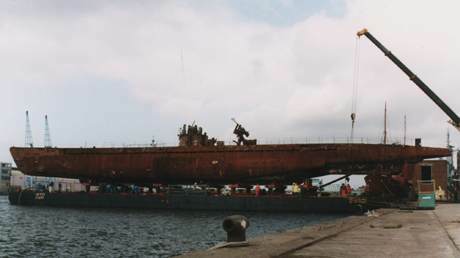 The authorities then licensed a Dutch salvage company to raise the boat on behalf of Mr Ree and, in August 1993, a 12-hour salvage and recovery operation at a cost of $4.4 million saw the submarine placed on a salvage barge. First on board were to be Danish munitions experts and an 'environment protection vessel' in case of acid or fuel leaks. Conservation experts followed. Corrosion damage was noted, though the waters in which the wreck lay were fresh. Water had flooded most of the vessel bar isolated air pockets. Seventeen tonnes of provisions, some diaries documents and film canisters were recovered from the safe. These were so tightly packed that they remained sealed and many were legible. One hundred bottles of German wine, tools, spare parts, kitchen utensils, clothes, tins of food and a 'gross' of condoms were also recovered. Thus the conservators found not treasure, but surprisingly well-preserved effects and supplies of a German U-boat crew. According to the head of registration and preservation, a covering of oil that permeated throughout the vessel soon after it sank has been crucial to preservation. The Danish Government eventually issued a list of items found on board giving third parties such as the Italian or German Governments four months to register any claims they might have to the contents. There were some concerns expressed that the German Government, which technically owned any papers found on board, might choose to order the destruction of some documents for strategic or intelligence reasons. The future of the vessel became uncertain with Mr Ree wanting to restore it and exhibit it as a museum piece, but no deal was able to be concluded with towns and museums willing to share the soaring costs. It was eventually sold to British interests and was transported to Birkenhead where it is presently on exhibition (The Daily Telegraph Mirror, 25.8.1993; World News, 30.8.1993, 9.2.1994; Hobart Mercuiy, 27.11.1993; Sunday Tasmanian, 29.8.1993). On both a positive and negative note, the submarine (as a capsule) is relatively-easily removed from its context on the sea-bed. This constitutes both the strength and weakness of the submarine wreck. Being so well encapsulated and relatively easily raised, salvors and enthusiasts with sufficient funds and political backing, can raise a submarine with little initial concern or understanding of archaeology, conservation science or museological practice. According to Bruzelius (1991), there were nearly 90 submarines of many types and nationalities on exhibition throughout the world. These range in date from the German Brandtaucher of 1851 to recently-decommissioned Oberon and Whisky-class boats. The process is ongoing. The Western Australian Maritime Museum has recently acquired HMAS Ovens, an Oberon-class submarine, and a Foxtrot-class boat was on exhibit at the National Maritime Museum in Sydney until recently, for example. Many, if not most potentially historic submarines are graves, rendering those that are inviolable. Mere a submarine is not a war grave and where sufficient reason, commitment and funds can be obtained to enable due consideration to be given to the ethical, legal and conservation issues, a submarine can be considered to be an archaeological site. Given the difficulties encountered in managing Holland I and U 534, however, the very number of submarines on exhibit renders any decision to raise a submarine from the sea-bed problematic unless it has been considered against the ethical issues and the range currently accessible to the public. Agawa, H., (n.d.), The reluctant Admiral. Yamamoto and the Imperial Navy. Kodansha International, Tokyo. Ballard, R.D., and McConnell, M., 1995, Explorations. My quest for adventure and discovery under the sea. Weidenfeld and Nicolson, London. Bass, G.F., (ed. ), 1972, A history of seafaring based on underwater archaeology. Thames and Hudson, London. Botting, D., 1979, The U-Boats. Time-Life Books, Amsterdam. Bruzelius, L., The maritime history virtual archives. Cairns, L., 1995, Fremantle's secretfleets: Allied submarines based in Western Australia during World War II Western Australian Museum, Perth. Carpenter, D. and Polmar, N., 1986, Submarines of the Imperial Japanese Navy. Conway, New York. Department of Communication and the Arts, 1997, Principles on the treatment of human remains at underwater heritage sites. Draft document. Department of Communication and the Arts, Canberra, ACT. Garratt, D. and McCarthy, M., (AIMA Bulletin vol 22, 1998), The Western Australian Maritime Museum's wreck access and outreach program. Bulletin of the Australian Institute, for Maritime Archaeology, 22:127-132. Gould, R.A., (ed. ), 1983, Shipwreck anthropology. University of New Mexico Press, Albuquerque. Hashimoto, M., 1954, Sunk, the story of the japanese submarine fleet, 1942-5. Cassell, London: 69-70. Jenkins, D., 1992, Hitting home, The Japanese attack on Sydney, 1942. Random house, Australia. Keatts, H. and Farr, G., 1990, Dive into history: U-boats. American Merchant Marine Press, US Merchant Maritime Academy, New York. Kentish, P., 1995, Stabilisation of Santiago, Report No: Met, 291 Part 1. University of South Australia, Gartrell School of Mining Metallurgy and Applied Geology. Kipling, R., 1915, The fringes of the fleet. MacMillan and Co., London. La Que, F.L., 1975, Marine corrosion, causes and prevention. John Wiley & Sons, New York. Lewis, T., 1997, Sensuikan 1-124. A history of the Imperial Japanese Navy fleet submarine sunk in Northern Territory waters. Tall Stories, Darwin. MacLeod, I.D., 1989, The application of corrosion science to the management on maritime archaeological sites. Bulletin of the Australian Institute for Maritime Archaeology, 13.2: 7-16. MacLeod, I.D., (in press), Conservation of the SS Xantho engine. Paper presented to the 1997AICCM Conference, Fremantle. McCarthy, M., 1983, Shipwrecks in Jervoise Bay. Records of the Western Australian Museum, 10.4, WA Museum, Perth: 335372. McCarthy, M., (ed. ), 1988, Iron ships and steam shipwrecks. Papers from the First Australian Seminar on the Management of Iron Vessels and Steam Shipwrecks. Western Australian Museum, Perth. McCarthy, M., 1990, Report, Japanese Submarine, 1124. Report Department of Maritime Archaeology, WA Maritime Museum, No. 43. McCarthy, M., 1991, The Flamingo Bay Voyage, including reports on the Japanese Submarine, 1124, The iron barque, Arm Millicent, Indonesian divers at Cartier Island and the inspection of a site believed to be the SS Koombana. Report-Department of Maritime Archaeology, Western Australian Maritime Museum, No. 45:10-52. McCarthy, M., 1996, SS Xantho: Towards a new perspective. An integrated approach to the maritime archaeology and conservation of an iron steamship wreck. Unpublished PhD. Thesis, James Cook University, Townsville, Queensland. Mochitsura H., 1954, Sunk, the story of the Japanese submarine fleet, 1942-5. Cassell, London: 69-70. Muckelroy, K, (ed. ), 1980, Archaeology underwater.. An atlas of the world's submerged sites. McGraw-Hill, New York. Muckelroy, K. 1978, Maritime archaeology. Cambridge University Press, Cambridge. North, N.A., 1982, Corrosion products on marine iron. Studies i . n conservation, 27: 75-83. North, N.A., 1976, Formation of coral concretions on marine iron. International Journal of Nautical Archaeology, 5.3:253-58. Osborn, W., 1986, Diving Victoria's ships' graveyard. Skindiving in Australia and the South Pacific, 16.2: 92-98. Potter, P.B., 1992, Middle-range theory, ceramics, and capitalism in 19th-century Rockbridge County, Virginia. In: Little, B. (ed. ), Text aided archaeology. CRC Press, Arm Arbor: 9-21. Roach, J.A., 1996, Appendix: sunken warships and military aircraft. Underwater archaeology and the Titanic The legal considerations. In: Jarvis, A., et al., Proceedings, IXth International Congress of Maritime Museums. National Maritime Museum, UK. Smith, G., 1990,Abriefhistoryofthej. class submarines. Bulletin Of the Australian Institute for Maritime Archaeology, 14.1: 9-12. White, M.W.D., 1991, Australian submarines, a history. AGPS, Canberra. Winter, B., 1995, The Intrigue Master, Commander Long and naval intelligence in Australia, 1913-1945. Boolarong, Brisbane. Young, E.J., 1945, War time diary. Submarine-11MS Trenchant. Copy, Department of Maritime Archaeology, WA Maritime Museum. This article was published in AIMA Bulletin Vol 22 1998. Published October 1999 on Nordic Underwater Archaeology by kind permission. U 534 photos © Gaz and U Boat Net.